Buy best seller good quality factory price China 6YL vegetable oil press machine - Shandong Microwave Machinery Co.,Ltd. best seller good quality factory price China 6YL vegetable oil press machine from Shandong Microwave Machinery Co.,Ltd. Shandong Microwave Machinery Co.,Ltd. independent research and development production of best seller good quality factory price China 6YL vegetable oil press machine for many years, Shandong Microwave Machinery Co.,Ltd. providing a dedicated oil press palm fruit, palm fruit thresher, sterilization pot palm fruit, palm kernel oil press, palm mashed machines. The best seller good quality factory price China 6YL vegetable oil press machine which designed and produced by shandong microwave machinery co.,ltd. research institute,best seller good quality factory price China 6YL vegetable oil press machine is suitable for 3-15 hectares small farm or processing with supplied materials from outside for individual household, economic and practical, cost recovery soon,Shandong Microwave Machinery Co.,Ltd. very welcome by customers in Africa and South America. 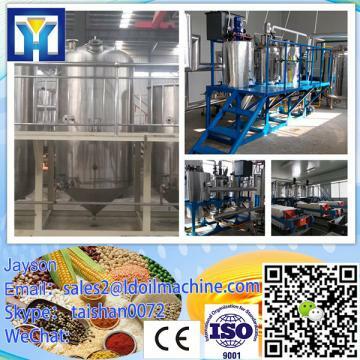 The china 6YL vegetable oil press machine is: patent products by our factory improved, is more advanced machinery in oil process up to now, with simple structure, easy operate, low consumption, low noise, high output rate, high adaptability, continuous work and other characteristics. For all kinds of plant oil materials can be pressed, such aspeanut, soybean, rapeseed, cottonseed, sesame, olive, sunflower, coconut, cocoa etc. Suitable for medium-small scale oil factory and private user, as well as for the pre-pressing of extraction oil factory. Our engineers study and develop this new screw china 6YL vegetable oil press machine according to the suggestion and experience of the more users.After two years testing and using, which show that It is the biggest once screw presser, with the higher capacity and lower consumption, the higher rate of output oil and lower resided oil in the cake. The china 6YL vegetable oil press machine consist of 5 parts including hopper, gearbox, press case, pressing screw, machine body. Shandong Microwave Machinery Co.,Ltd.is a oil press and complete oil equipment factory specializing in the production of best seller good quality factory price China 6YL vegetable oil press machine, scientific research,manufacturing,installation, commissioning.Shandong Microwave Machinery Co.,Ltd.can provide oil press and complete oil equipmentcustomers with design and services of 1-2000 tons best seller good quality factory price China 6YL vegetable oil press machine. Shandong Microwave Machinery Co.,Ltd. have finished hundreds of successful projects oil press and complete oil equipmentover the years: peanut oil, soybean oil, rapeseed oil, cottonseed oil, sunflower oil, sesame oil, animal oil,grape seed oil, acer truncatum oil, peony seed oil, walnut oil, hemp seed oil, pine oil, tea seed oil, papaya oil, milk thistle seed, and other special type oil press and complete oil equipmentoil. Shandong Microwave Machinery Co.,Ltd. have independent import and export department. Shandong Microwave Machinery Co.,Ltd. oil press and complete oil equipmentequipment has been successfully exported to more than ten countries: Russia, Australia, India, Afghanistan, Cameroon,and so on.